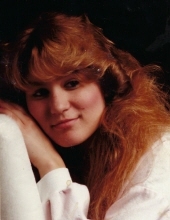 DURHAM: Carolyn Denise Crabtree, 48, passed away on Wednesday, November 21, 2018 at her home in Durham. She was born in Durham to the late David Hubert Harder and the surviving Carolyn Joyce Harder. In addition to her mother, Ms. Crabtree is survived by her daughters, Rebecca Danielle Dickhoff (Andrew), Cassandra Kelly Forbis; sons, James Aaron Harder, David Harder; brother, Christopher David Harder (Gina); and grandchildren, Raylen Brice, Emma Price, Brayden Dickhoff. Ms. Crabtree formerly worked at Raleigh Durham International Airport with the Travel Security Agency. A funeral service will be held at 2 p.m. on Thursday, November 29th at Clements Funeral Chapel in Durham. Burial will follow in Maplewood Cemetery. To send flowers or a remembrance gift to the family of Carolyn Denise Crabtree, please visit our Tribute Store. "Email Address" would like to share the life celebration of Carolyn Denise Crabtree. Click on the "link" to go to share a favorite memory or leave a condolence message for the family.